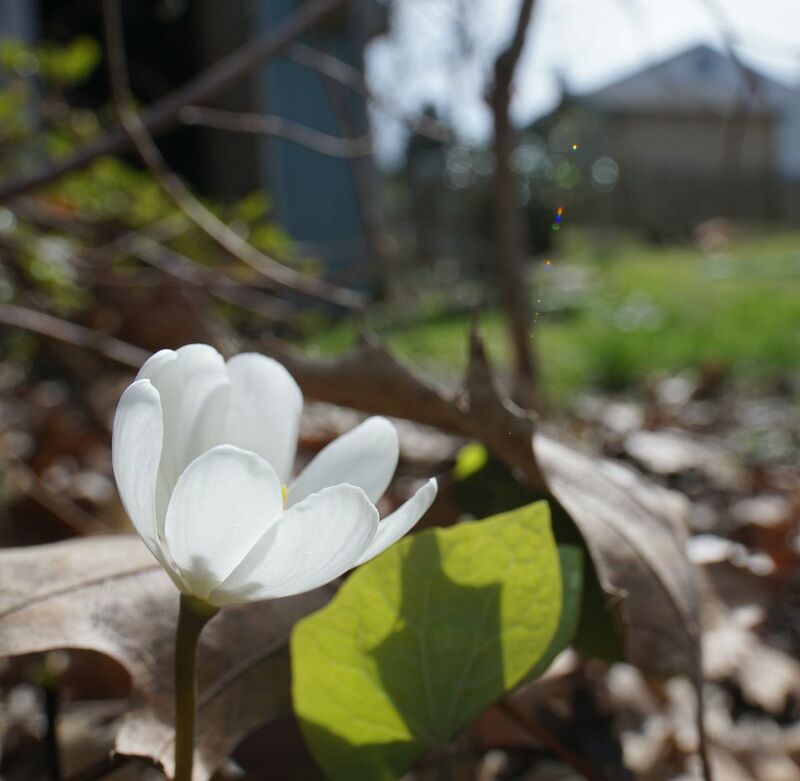 Biodiverse Gardens: Wildflower Season Begins! Alright it's spring time and you know what that means; it's wildflower seasons! Yay! 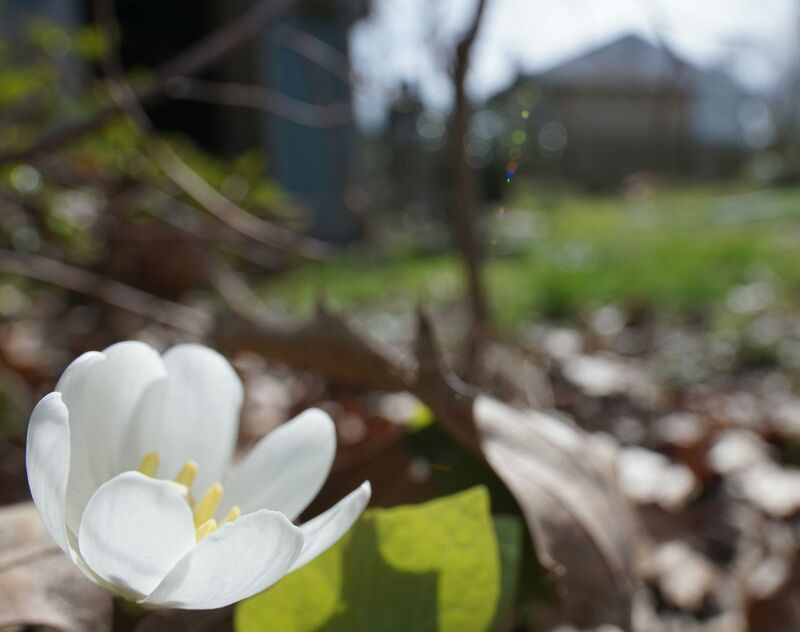 I got a new camera for this season along with a fancy new lens that does a great job at showing a real depth of field. So far I've found it to be ideal at photographing wildflowers, but smaller things like ants are going to be more difficult with it. Larger insects will likely be okay as well, but it captures too big of an image to really home in on just an ant or two. It's a manual focus too so I have to take like 20 images of the same thing lightly adjusting the focus to hopefully capture a good one. I'm still learning. Ideally here I wanted to see the inside of the flower, Twin Leaf, Jeffersonia diphylla, but I didn't get one where it was in focus enough to really get what I was going for. I planted a tone of these last year and I'm really happy to see they're all mostly coming up, and at slightly different times of one another. Even though they're next to each other, it seems the amount of leaf litter and sunshine they get really effect the bloom time of this plant. It's both a shame and a good thing for me. Twin Leaf is notorious for only flowering 8 hours to 2 days long, making pollination very unlikely on most years. It's good though because I get more chances to photograph the flower. 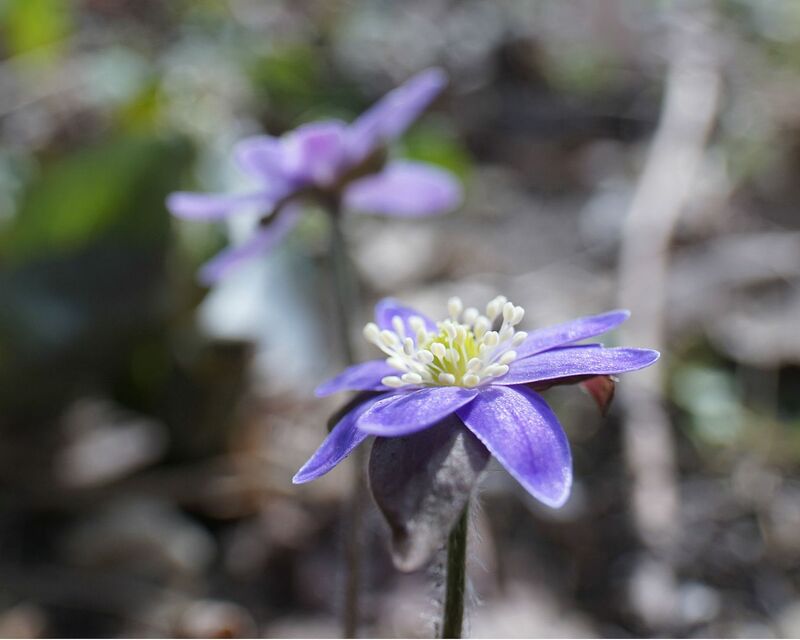 Here is a Hepatica which I had an easier time photographing. The one failing though is the flowers wanted to aim towards another plant that I couldn't get my camera and twin flash into. So I ended up having to take the second bloom (out of focus behind this one) and putting it in front. See below. This second flower isn't quite as blue as the first one but it's just as pretty. 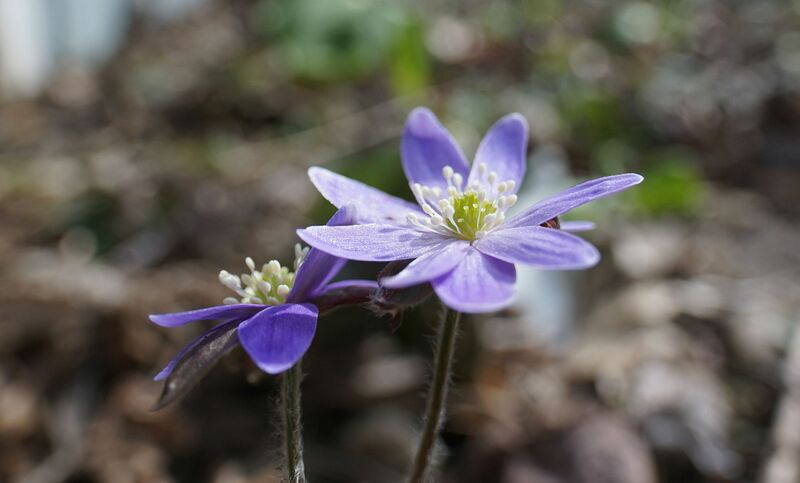 I recently learned that Hepatica may set their seed "early" for our local species of Aphaenogaster (an ant) to take interest in dispersing their seeds. At least for where I am in New Jersey. The Aphaenogaster rudis we have in my yard and forests throughout New Jersey apparently become active "later in the year," than a different species, Aphaenogaster picea. To be honest though I didn't understand what the author meant in the study when they talked about later in the year or active earlier. 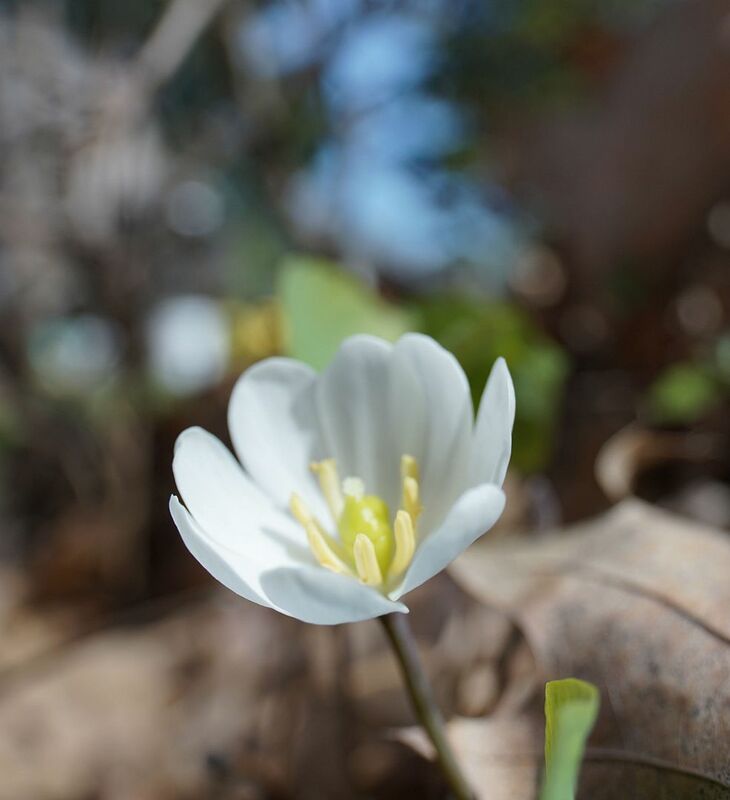 A. picea is more common in northern parts of the US and Canada for sure, and apparently they're better about taking an interest in Hepatica seeds than A. rudis. However, when the Hepatica in my yard are dropping seeds it's already May or June and Aphaenogaster rudis very much "active" at that time. I'm not sure why the A. rudis don't bother with the seeds, maybe it's because the Hepatica I grow were all store bought and not a local genotype, but something is a miss here. Elaiosome should = ant food and for Aphaenogaster of all genera to ignore it means something is up here.